I’m one of those lucky foodies who can eat pretty much whatever I want without any worry about food allergies or gaining weight! I can just hear all of you in the nearest Waist Trainer Center shaking your fists at me. But I have a couple of family members who are on gluten free diets, and they have been pretty vocal about how much they miss the simple pleasure of eating pizza. Life Without Pizza; that is a sad thing to contemplate. 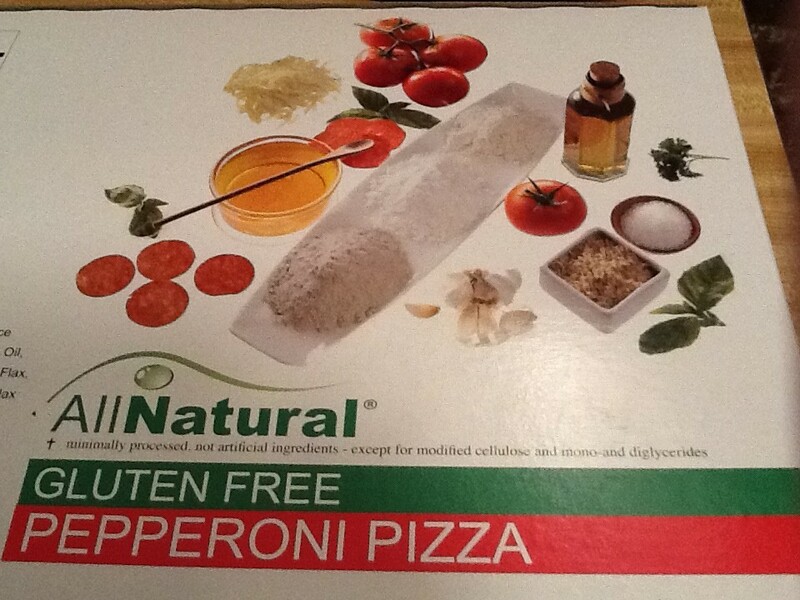 Fortunately there is such a thing as gluten free frozen pizza! 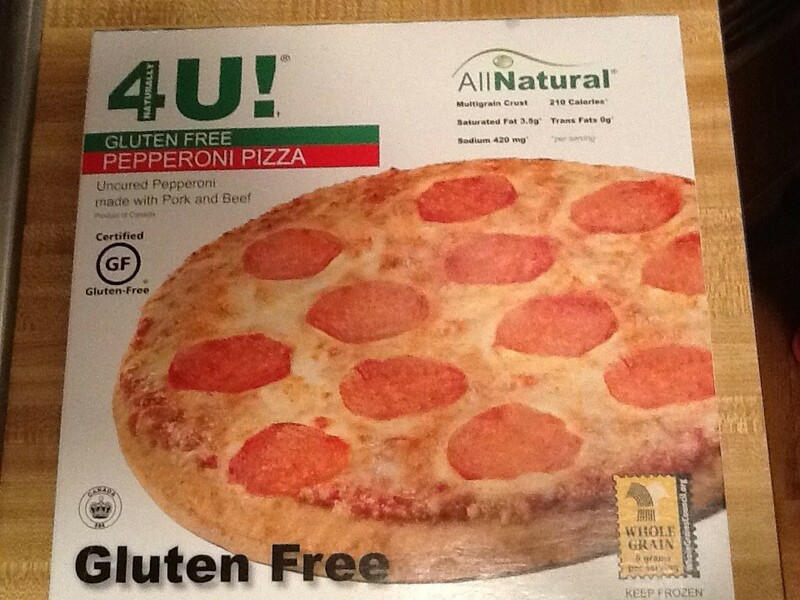 Better 4U Foods is a family owned and operated company that has introduced a line gluten free pizzas made with only all natural ingredients that provide healthier alternatives than their competitors on the frozen pizza market. Better 4 U sent me couple of their pizza varieties – Uncured Pepperoni and Four Cheese – which I prepared and ate in my home on separate occasions over the span of a week. Here is my report. 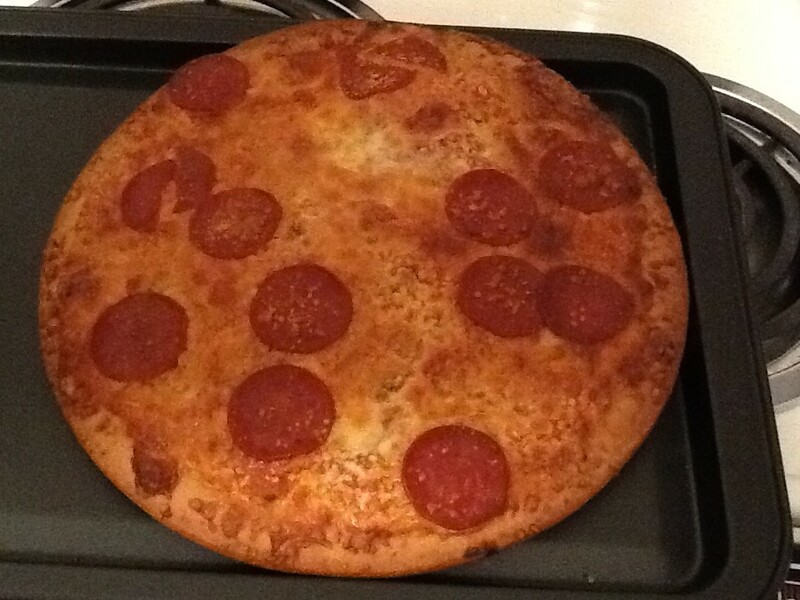 This is what the Pepperoni Pizza looks like after baking in a 395 degree oven for 18 minutes, according to package directions. It is worth noting that the scent of cooking pepperoni was distinctive and the pizza smelled very delicious and home-made while it was in the oven. The cheese is rather golden because my oven may have been a little hot, due to guessing at what 395 degrees was on an oven that has the temperatures marked at 400 and 375. Still, it looks pretty close to the photo on the box. And although I did not “art direct” the pepperoni placement before baking, there are 12 slices of pepperoni present and accounted for, just as depicted in the packaging photo. The crust – perfectly golden, not scorched at all and about the color of a brown paper bag – turns out to be very crispy and “sturdy” but maintains a fluffy, bread-like consistency under the sauce and toppings, which I found very appealing. I have eaten gluten free pizza in a restaurant previous to this and I would say the Better 4 U crust was of a comparable texture. 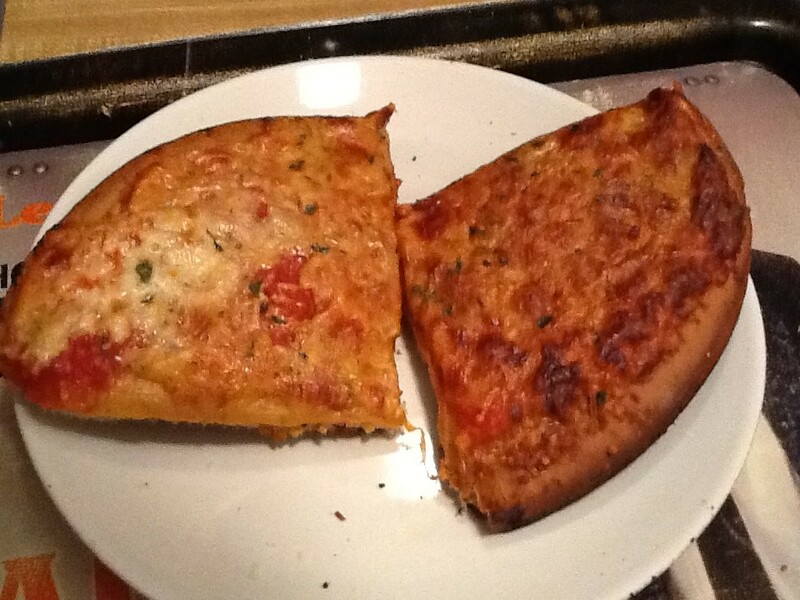 It does not taste exactly like regular gluten containing pizza crust, but it tastes good. The tomato sauce had a distinctive peppery flavor which complimented the lean and not-too-spicy Pepperoni. 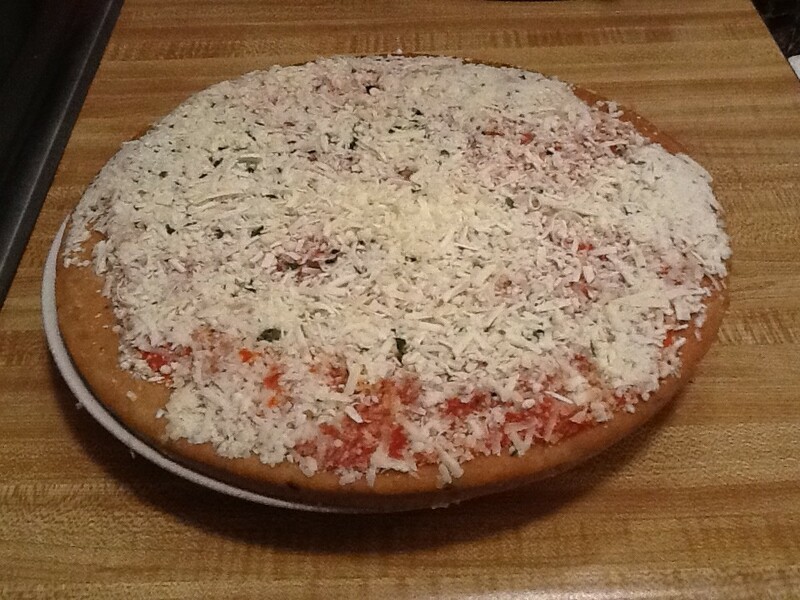 The cheese is more shaved than grated, so it has a bit of a tendency to “fly” when removing the pizza from the wrapper. I suggest using great care when removing the plastic wrap, then placing the uncooked pizza on a plate and shaking any cheese that has escaped from the packaging and supportive cardboard round back onto the pizza. That said, the cheese is natural mozzarella and tasted very delicious and fresh prior to cooking. It is the quality of cheese I would use when making pizza from scratch. As previously noted, there is a decent number pepperoni slices but I suppose you could add more to your liking. Same goes for the cheese. More is always better. Normally, I could eat an entire pizza of this size by myself, but this pizza is very filling and after two slices I was stuffed. I reheated my leftover pepperoni pizza in the oven a day or two after my initial heating and it was still good. I did end up adding more cheese. Again, I cooked it for 18 minutes in a conventional oven at a close approximation of 395 degrees. It looks pretty good, right? I did not expect to actually like the Four Cheese even better than the Pepperoni, (because pepperoni is my thing) but that is what happened. Better 4 U Gluten Free Pizzas also come in Mediterranean, Roasted Vegetable and a Vegan-friendly, Dairy-Free Roasted Vegetable variety. Find out more about Better 4 U pizzas and their other delicious foods by visiting their website at This Link! I also have Gluten free family members and having pizza again in the house is great. My only comment otherwise on your post is that being gluten free is not a diet at all. It is an absolute must for those who are allergic to gluten, it is how they must live to be healthy.